MEBO 2017 Primary Objective, "Solutions Now"
I would like to share with you some of my ideas about the direction MEBO will take in 2017, and would appreciate your input. Please write your comments and recommendation below on this post. Let me know if you would like to be a MEBO volunteer and what work exactly you would like to do. Keep in mind that all the MEBO staff are all volunteers. MEBO has been around since 2008/2009, and we have carried out the Biolab Gut Dysbiosis Study in the UK with interesting results. MEBO supported the NORD Fund for DNA research, by posting about it. This fund raising program had already been established by Cheryl Marshall before I ever discovered TMAU. The funds were awarded to the Monell Center, who came up with interesting results on their DNA study of TMAU. MEBO started the Alveolar Test Study with Menssana, which was actually much too costly than I had hoped to MEBO and to the participants, and unfortunately, the study bore no significant results. Then, we started the MEBO TMAU Test Program with a lab that researched a way of inhibiting TMA production by gut bacteria. This was very successful, and as we wait for the supplement to come out in the market, manufactured by Proctor and Gamble. In the meantime, we have also learned about DMB and Resveratrol helping to inhibit gut TMA production. The Trinzyme Project for a therapeutic for TMAU was started with a UK Medical Council Grant for the 1st phase research study to discover a therapeutic to control TMAU. The first phase was very successful, but we are having delays in acquiring funding for the next phase of the project. Unfortunately, this very promising study appears to be taking a very long term in obtaining research funding. 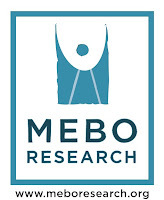 MEBO also started a pilot study with the University of Alberta, Metabolomic Research Study in Canada, NCT02683876, at no cost to MEBO, and only sample shipping cost to participants. Irene Gabashvili, PhD, who is the Scientific Director of MEBO Research, will be assisting the Canadian lab in the analysis of the results in relation to body and breath odor conditions. If there are significant indications that would lead us to continue on with the research, we hope that Dr Irene will develop a program to offer individual consultation to participants to offer recommendations based on the results. I totally understand the need for long-term research-studies, and they are our secondary focus. I do believe in supporting them, but I want to work with what studies have already shown us NOW. I am hoping that the Canadian study, that is looking beyond TMAU, will be a breakthrough for us, and that Irene, working closely with the University of Alberta lab, will provide us with some direction for more breath and body odor conditions in addition to TMAU. If so, we will have the gut TMA inhibitor by supplement and whatever Dr. Irene Gabashvili provides us with, based on each sufferer's individual metabolomic profile, hopefully within a year or two. Even though the objective "Solutions Now" will be our primary focus in 2017, MEBO is still totally committed to pursuing long term research, that will hopefully provide us with some interesting information and protocol within a few years (5 to 10 years). We must not only think of ourselves, but also of the following generations of sufferers. I think we should definitely focus on getting funds for the Trinzyme Project so that it continues without delay. Thank you for your work. Every day gets harder to deal with this, but it is nice to know there are people working hard every day for a cure for this horrible disease. I found your post very informative as it is difficult to find out what research is actually happening for . Hope is essential to maintain a positive attitude! Are there any more details available on the outcomes from the Trinzyme project ? There was a thread on TMAU off UK enquiring about crowd funding for research for TMAU so I will try to cross post your post so that people know things are moving on. This is a truly inspiring objective. I recently learned from a Google search that Ataluren, another drug that might be helpful, has been approved for use in Europe but not in the United States. I wonder if some of the TMAU people living in these countries might try the drug, evaluate its usefulness for TMAU, and thus help along the FDA approval process here. Another point: the Synergy Company in Moab, Utah has developed several new products based on the DMB research: grape seed extract, resveratrol, and a multi-ingedient mix called "Heart Health". I'm very excited and appreciative of the work Maria and Mebo are doing to further advance knowledge and awareness and possible treatments. I am very interested in the newest program learning about other possible metabolites that could be producing odor. 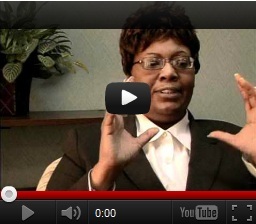 Maria so is the Cleveland Clinic tmao project definitely successful? Because the last article I read said the dmb wasn't strong enough for the human body so they need to find another way. hi. Cleveland keep very secret about their TMA-blocking pill but we can be sure its definitely going ahead. They have signed a deal with P&G. It turns out they wont use DMB as not strong enough, but they will use some other compound they already know. I guess its all top-secret. Sadly we wont hear anything probably until the press release. it could be a while yet. 'but will use an even stronger more potent compound they have found. but for now it's top secret so we dont know what. The solution may be achieved by going forward to the pharmaceutical companies. The proposed drug will probably be expensive as TMAU is a rare disease, but it is worth to think about both ourselves as sufferers and next generations.